It should be noted that Boris Nemtsov’s political adviser, Vladimir Kara-Murza, is also a member of “activist” Ilya Yahsin’s Solidarnost group, and an attendee of a recent NED-funded seminar titled, “Elections in Russia: Polling and Perspectives.” Ilya Yahsin’s Solidarnost group helps head the US-NED funded “Strategy 31″ campaign in tandem with the Moscow Helsinki Group, a NED, Ford Foundation, USAID, and Soros’ Open Society-funded NGO. Also noteworthy is Alex Navalny’s ties to the National Endowment for Democracy, as he is one of the co-founders of the NED-funded DA! 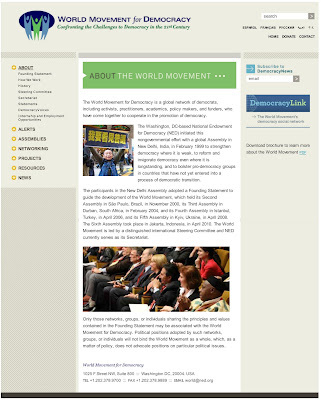 (Democratic Alternative) activist movements, as stated in his Yale World Fellows bio. Hardly leaderless, hardly unorganized, hardly even indigenous, the presence of stages and opposition leaders as well as calls for future protests already being made by the likes of US NED-funded Wold Democracy Movement steering committee member Vladimir Ryzhkov and his partner Boris Nemtsov, casts very serious doubts not only on the Sydney Morning Herald’s nonsensical claims of the protest’s spontaneous nature and its legitimacy, but on the Herald’s journalistic integrity itself for finding such nonsense fit for print. At the bottom of the article, the Herald writes “Washington Post,” a name already synonymous with propaganda and compromised interests entangled with the agenda of the corporate-financier elite of Wall Street and London. 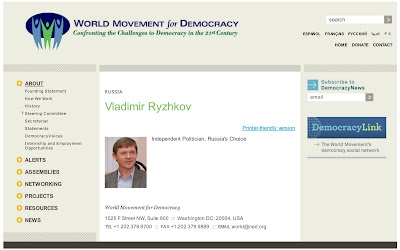 And even as the Sydney Morning Herald and Washington Post attempt to portray the Russian protests as spontaneous, apolitical uprisings against electoral fraud “exposed” by USAID and US NED-funded Golos, a poll monitor who now has been caught sending e-mails back and forth to its US sponsors, conspiring against Russia’s leadership, the very real, centralized leadership of these clearly politically motivated protests are already calling for another round of unrest on December 24. Not only are the protests and their US-funded leadership illegtimate, but by shamelessly twisting public perception to see them as anything but foreign-funded sedition, the corporate media has once again failed the public in pursuit of carrying out Wall Street and London’s corporate-financier driven agenda. Beware of these revisionists and the increasingly unsubstantiated, even flat-out ridiculous claims being made by the media. Name names, follow the affiliations, research the organizations, click on “About Us,” follow the money, and discover the truth the corporate media is willfully hiding from the public. 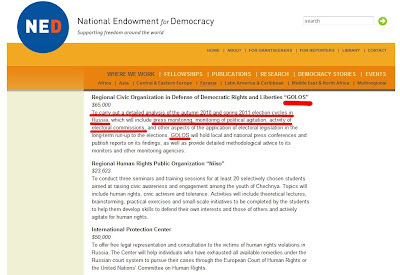 Expose both this duplicitous agenda being pursued in Russia, as well as the disingenuous liars throughout the Western media’s press peddling it. And above all, boycott and replace the corporate interests driving this agenda to begin with.